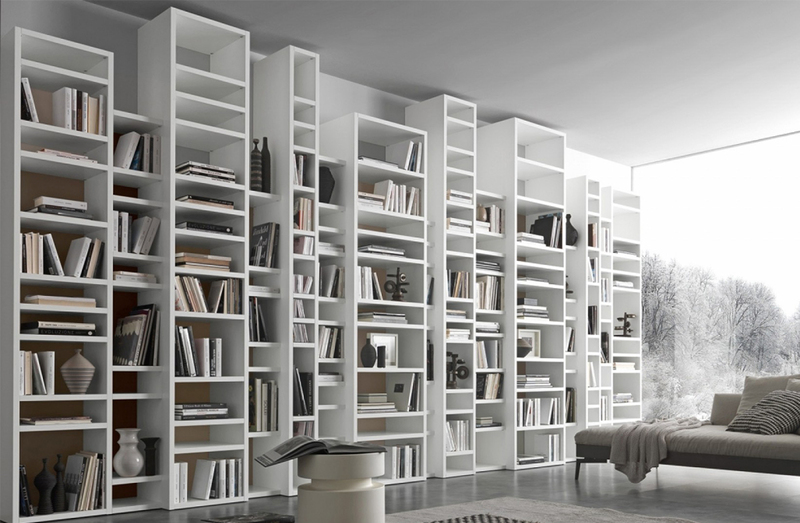 Modular bookcase system with varying column widths and heights. Available to specify in numerous layouts and configurations. Please contact Usona directly for additional details.